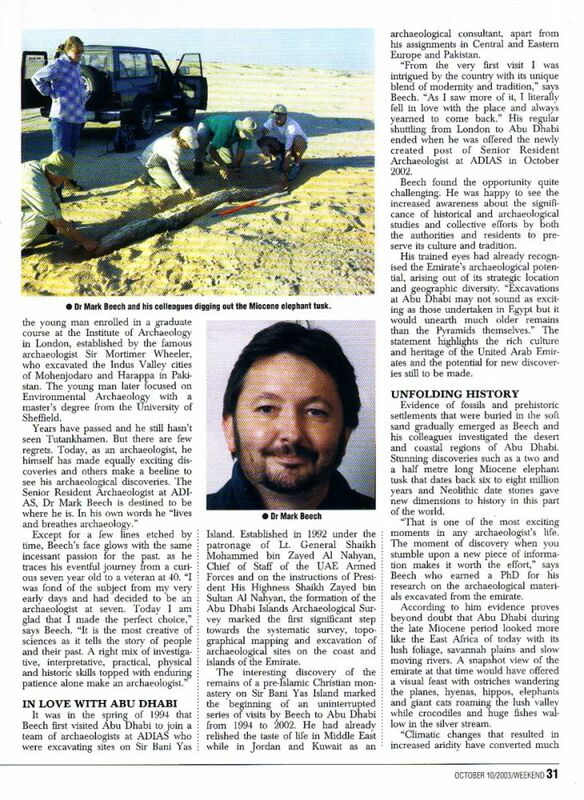 Paléontologie - Jolie défense - read an article written by Bernadette Arnaud which appeared in the French popular science magazine Sciences et Avenir No. 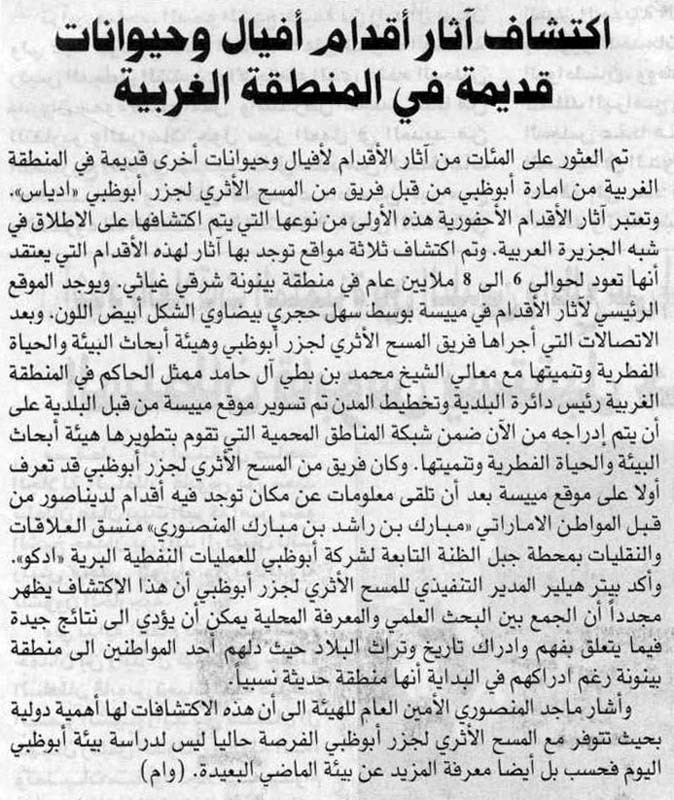 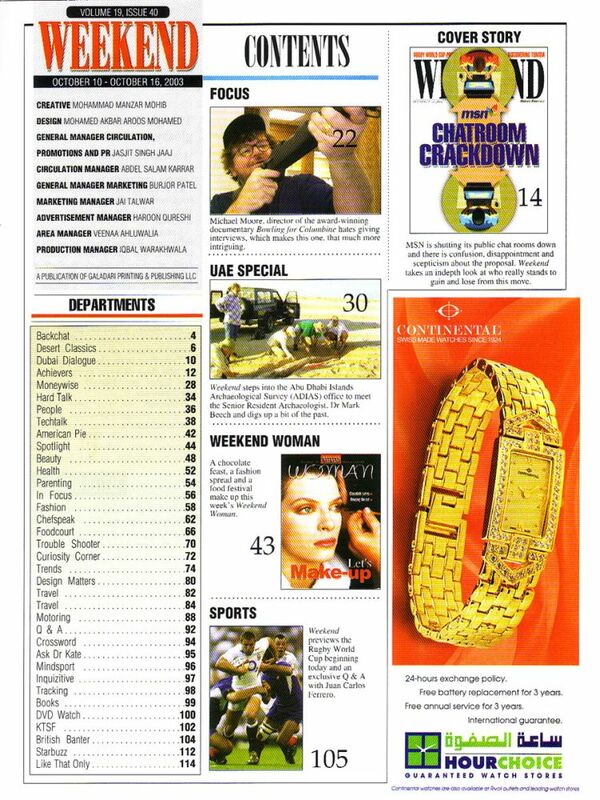 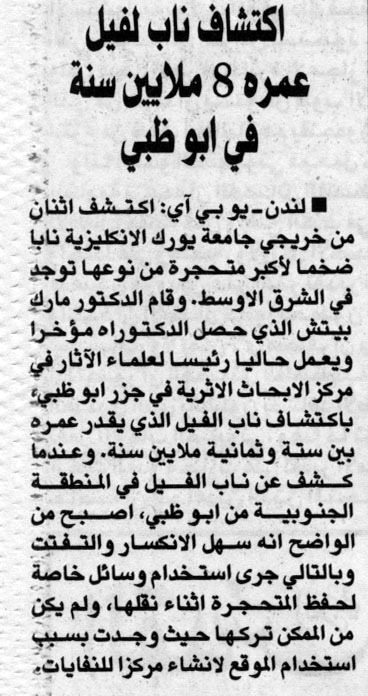 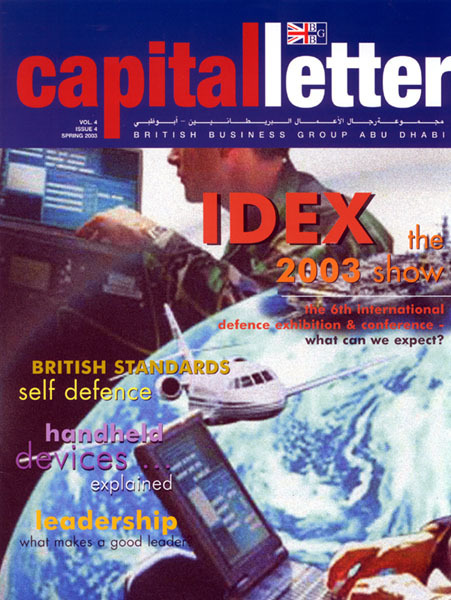 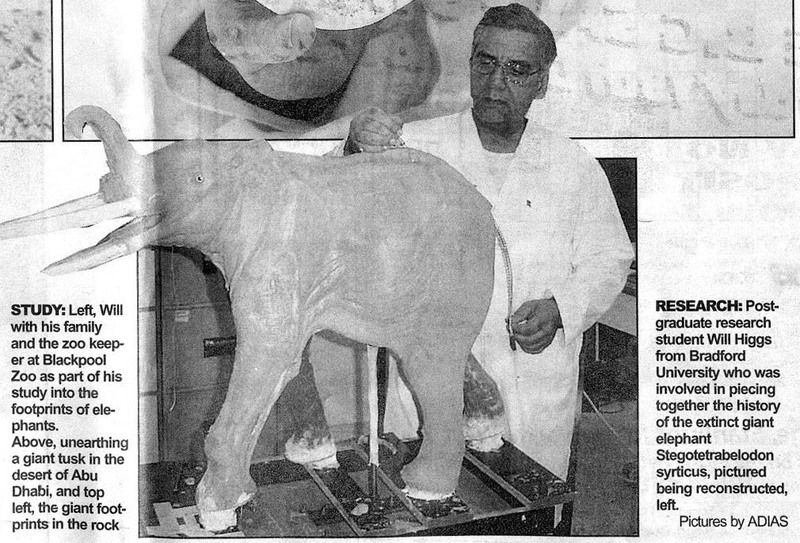 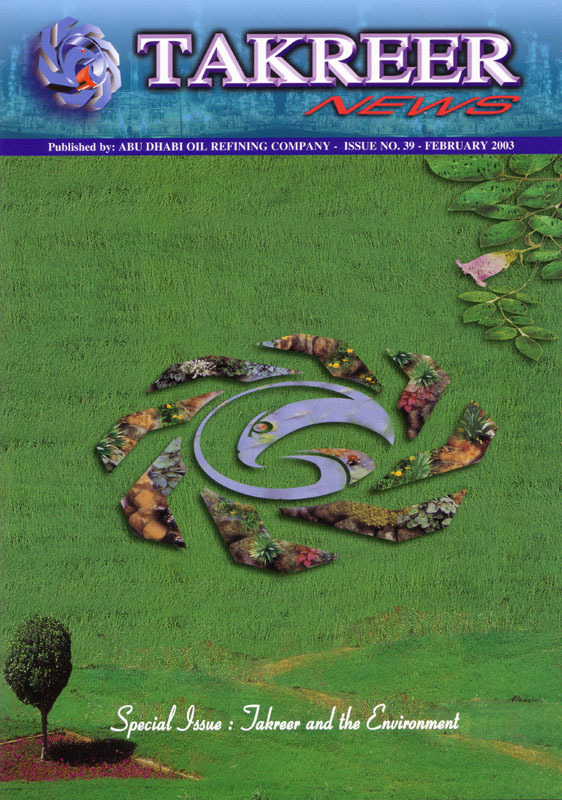 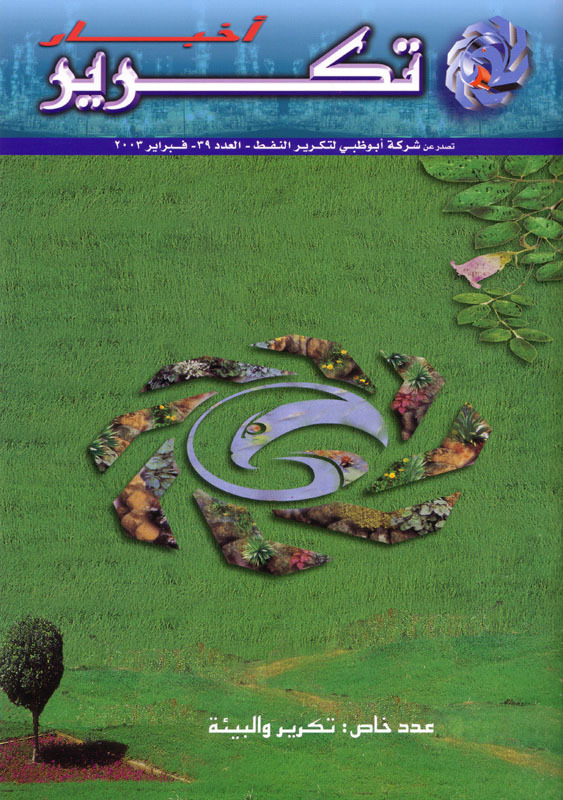 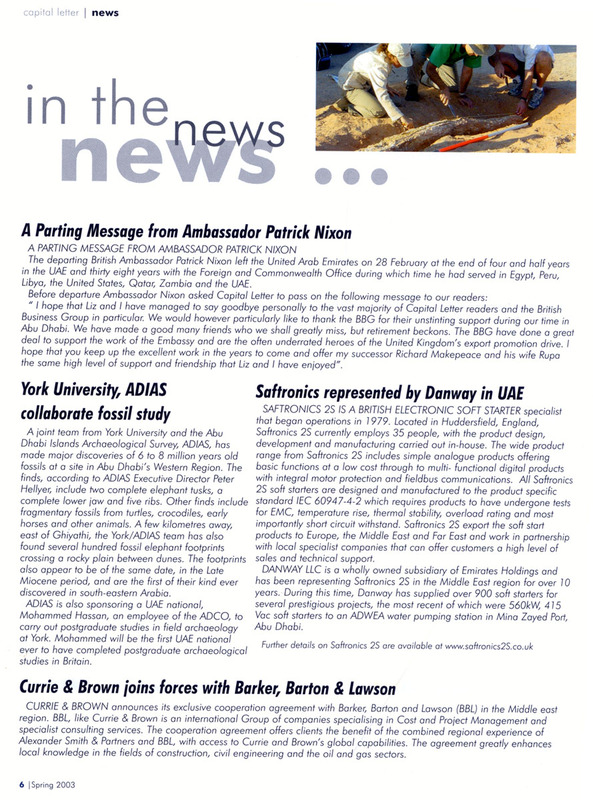 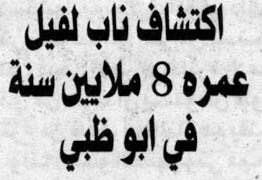 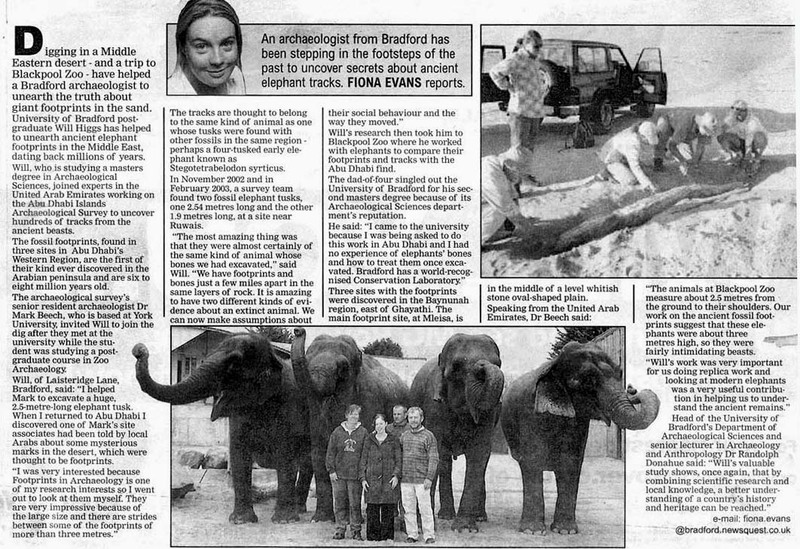 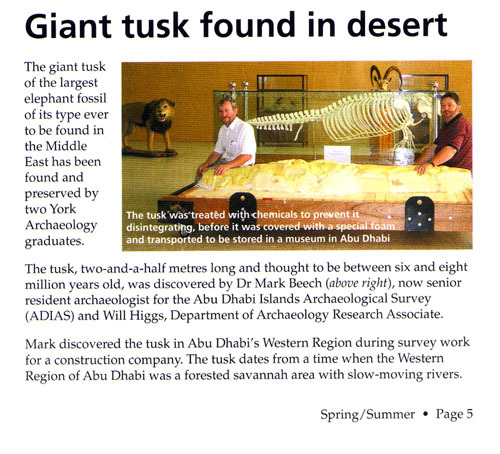 674, April 2003 - page 13. 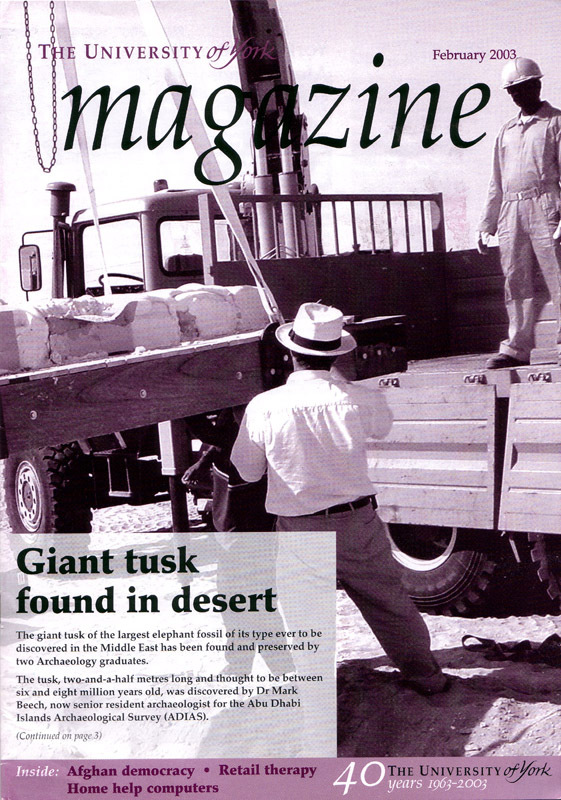 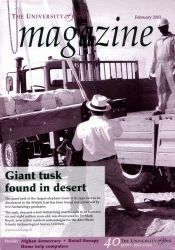 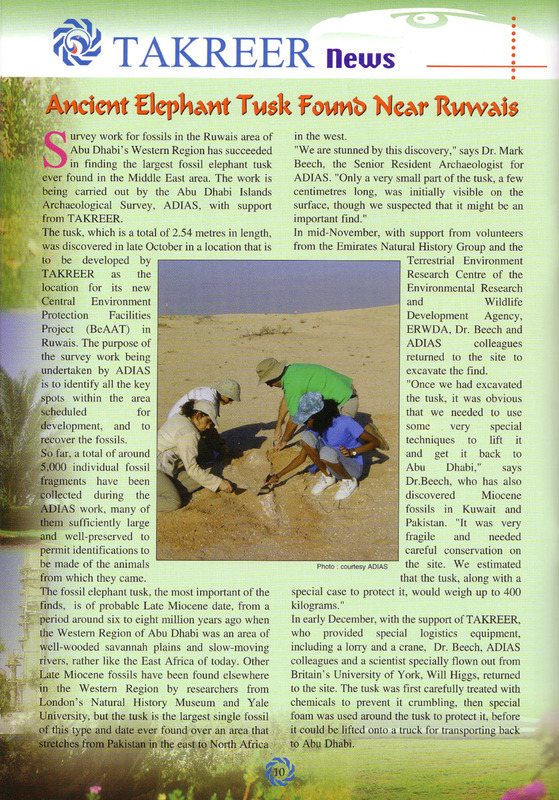 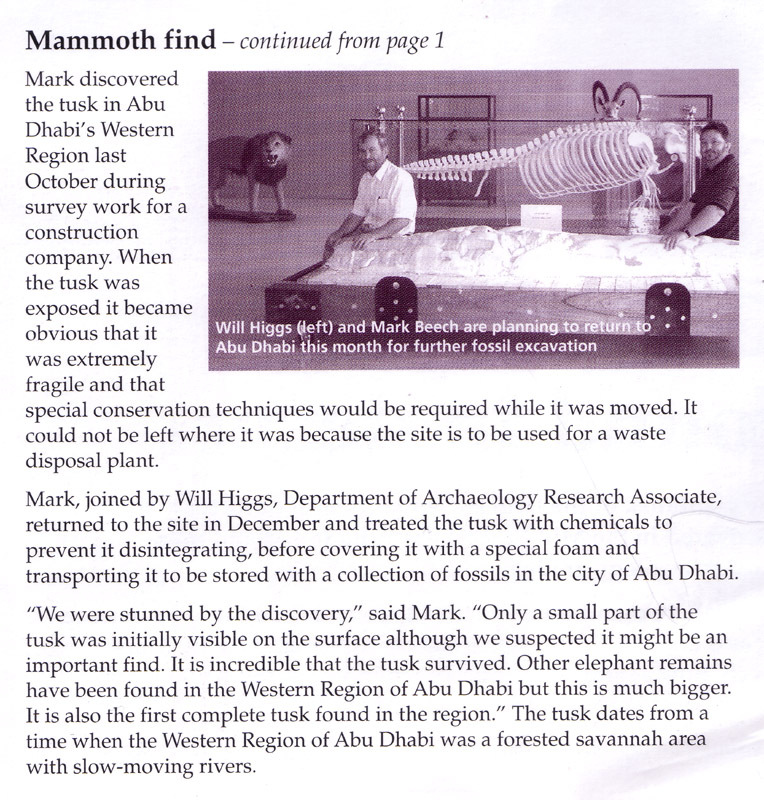 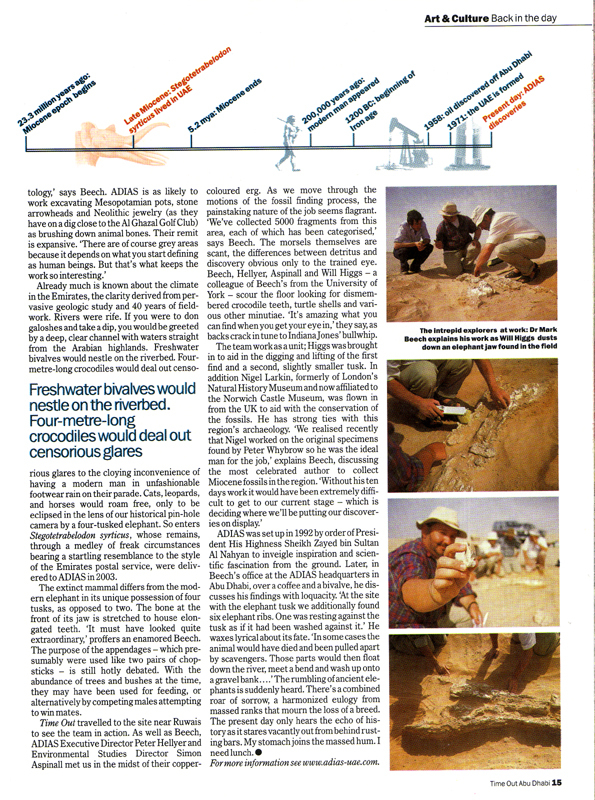 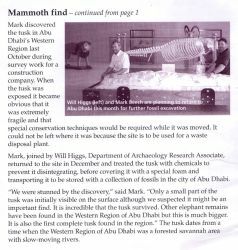 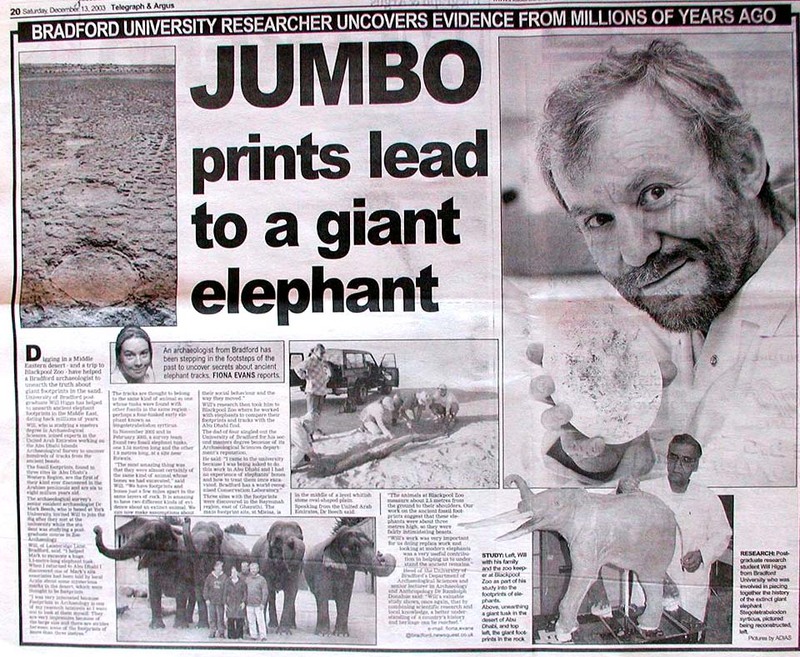 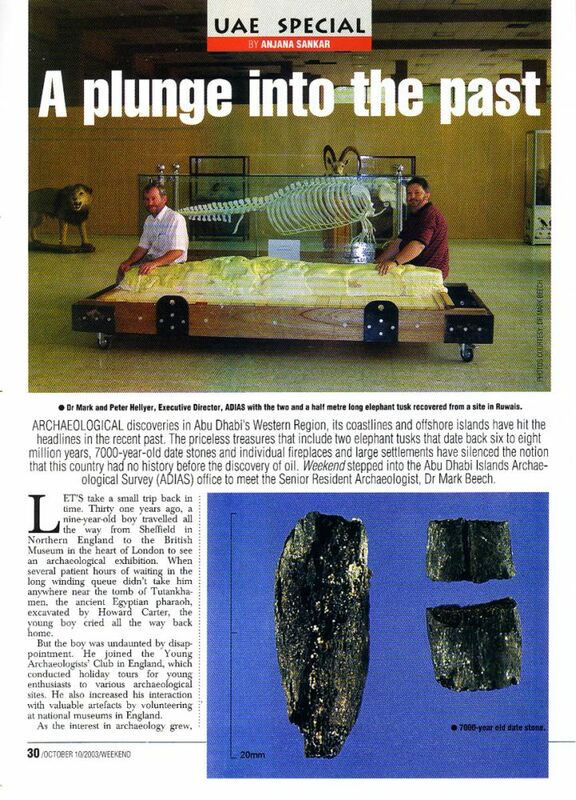 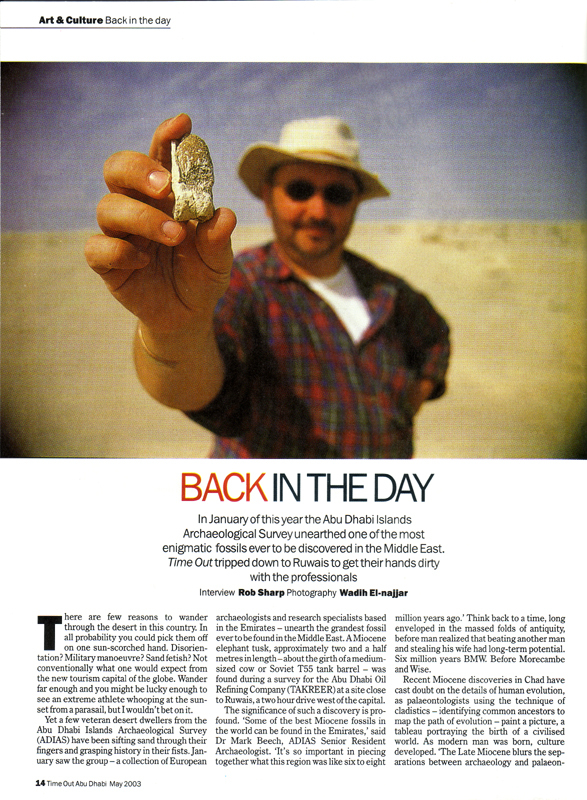 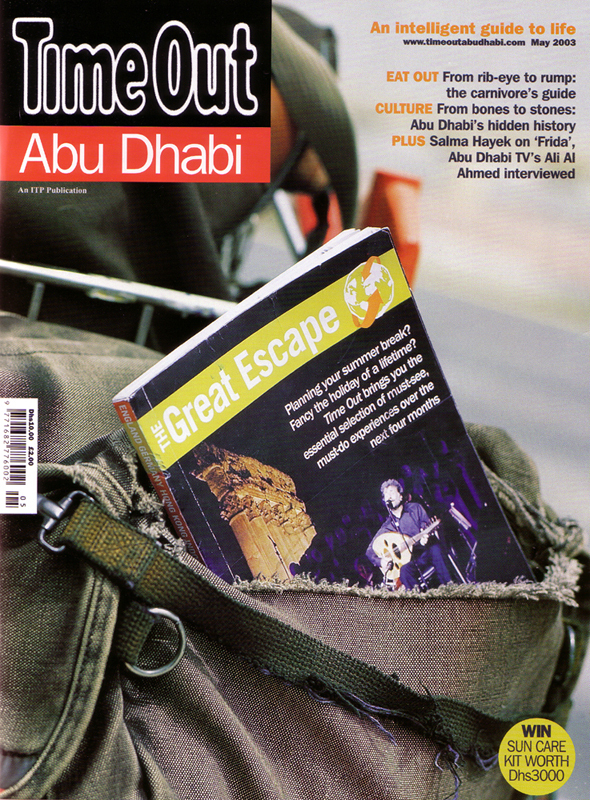 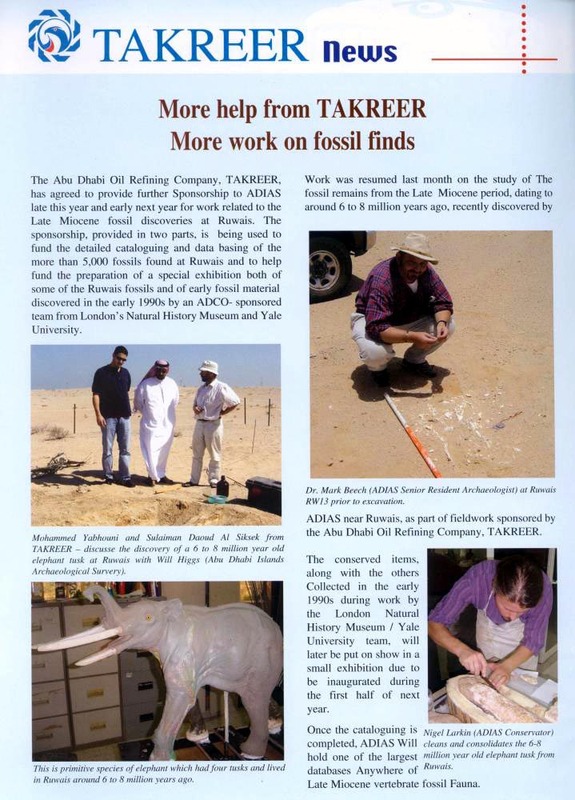 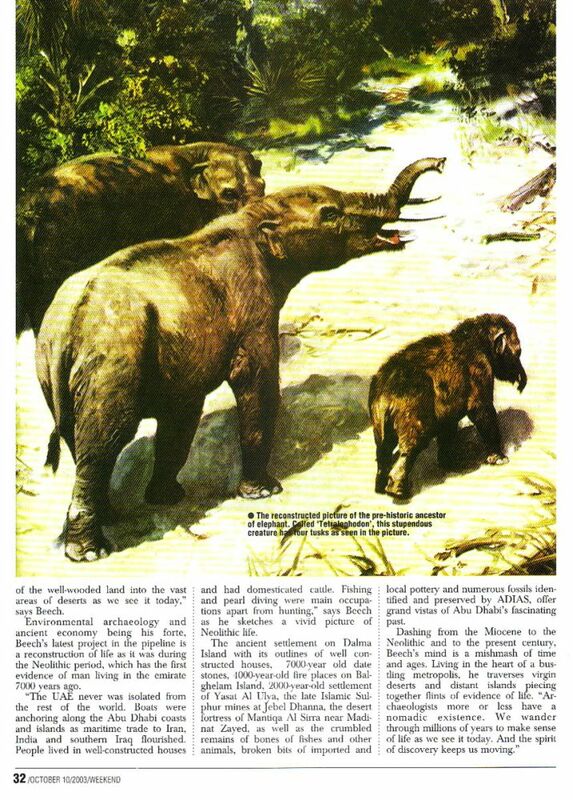 Back in the Day - feature article in Time Out - Abu Dhabi magazine about ADIAS work on Miocene fossils at Ruwais.